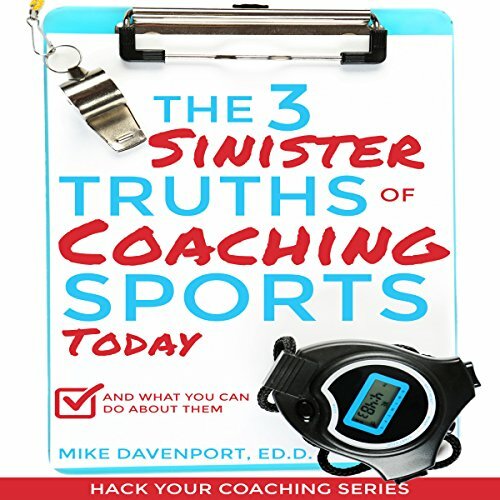 "You Can Thrive in Today's Wild World of Coaching Sports"
Sport coaches shouldn't pay a heavy price for coaching -- but many do. That price can be physical, mental, social, financial and/or emotional. And it contributes to really good coaches and fine people quitting coaching well before they should. That's wrong, especially considering many coaches are volunteers, or coach to "help out". However, there are tricks and hacks, when used properly, that can enhance a coaching experience, a coach's legacy, and the effectiveness of any coach. And that's what Mike writes about. Mike has had a 35-year collegiate coaching career, along with national team and Olympic team experience. He has his doctorate in educational innovation and leadership, has been conference and national Coach Of The Year, and has learned valuable lessons on what works -- and what doesn't work -- as a coach. Mike is dedicated to teaching the smart ways to avoid hardships, sidestep stress, and be the successful sports coach people want to be. He has been creating content for coaches for 25 years. He also writes other non-fiction books. Mike currently lives in Maryland with his family. He responds to email when he can and loves connecting with coaches from all sports. If you scroll down the page you can check out the different books Mike has published.